Description:Used 2015 Hyundai Genesis 3.8l for sale - $24,990.00 with 59,654 miles. 2015 Hyundai Genesis 3.8l 2015 Hyundai Genesis 3.8 black Leather. Please feel free to ask any questions regarding this vehicle. Interested in a test drive? Just schedule one at Recent Arrival! Description:Used 2019 Hyundai Kona SEL for sale - $26,190.00 with 10 miles. 2019 Hyundai Kona SEL * While every reasonable effort is made to ensure the accuracy of this information, we are not responsible for any errors or omissions contained on these pages. Please verify any information in question with St Cloud Hyundai. Vehicle photos are representative of make, model, trim, exterior color and interior color. Additional equipment seen may vary. Click the window sticker button to see the full list of included equipment. See dealer for details. Some rebates you must qualify for. Occasionally, pricing, data errors and omissions may occur on various vehicles and offers. Upon notification, such errors and omissions will be promptly removed or fixed. Inaccurate prices and data errors and/or omissions do not constitute valid prices or retail offers. Contact Jon Viemeister in the Internet Department with any questions or to setup a time to come in for a test drive. Description:Used 2019 Hyundai Sonata sport for sale - $26,190.00 with 187 miles. 2019 Hyundai Sonata sport * While every reasonable effort is made to ensure the accuracy of this information, we are not responsible for any errors or omissions contained on these pages. Please verify any information in question with St Cloud Hyundai. Vehicle photos are representative of make, model, trim, exterior color and interior color. Additional equipment seen may vary. Click the window sticker button to see the full list of included equipment. See dealer for details. Some rebates you must qualify for. Occasionally, pricing, data errors and omissions may occur on various vehicles and offers. Upon notification, such errors and omissions will be promptly removed or fixed. Inaccurate prices and data errors and/or omissions do not constitute valid prices or retail offers. Description:Used 2015 Chevrolet Impala LTZ for sale - $17,495.00 with 78,586 miles. 2015 Chevrolet Impala LTZ *LOCAL TRADE-IN, *NON SMOKER, *HEATED SEATS, *LEATHER, Preferred Equipment Group 2LZ. Recent Arrival! Awards: * 2015 KBB.com 15 Best Family Cars * 2015 KBB.com Best Buy Awards * 2015 KBB.com 5-Year Cost to Own Awards At Webber Family Motors in Detroit Lakes, MN, customer satisfaction is our top priority. Our knowledgeable sales and service teams raise the customer care bar to the highest level. If you have never purchased or had your car serviced here at Webber Family Motors, allow us the opportunity to earn your business. Webber Family Motors has kept a firm commitment to our customers. We offer a wide selection of vehicles and hope to make the car buying process as quick and hassle free as possible. Call 218-325-4816 for more information regarding this vehicle or to schedule a test drive today!! Description:Used 2008 Ford Edge limited for sale - $8,908.00 with 140,433 miles. 2008 Ford Edge limited Recent Arrival! 2008 Ford Edge Limited White Sand Tri-Coat Local Trade, Automatic temperature control, Front dual zone A/C, Heated front seats, Panoramic Vista Roof, Power Liftgate, Rear Parking Sensors. Awards: * 2008 KBB.com Brand Image Awards If you are interested in this or any of our vehicles, please contact us at one of our two locations, in Sleepy Eye 507-794-3673 or New Ulm 507-354-3673. Description:Used 2019 Hyundai Kona SEL for sale - $26,145.00 with 0 miles. 2019 Hyundai Kona SEL Luther Burnsville Hyundai is the recipient of the 2019 Dealer of the Year Award and the 2019 Customer Satisfaction Award from Dealer Rater. Thank you to our wonderful customers for this achievement. At Luther Burnsville Hyundai, we pledge to provide you the highest level of customer service! We put all our vehicles through a strict Multi-Point Inspection. Come in and ask your salesperson to show you the work order for this vehicle today!Price includes $750 Retail Bonus Cash - Exp. 04/30/2019. Description:Used 2019 Hyundai Kona SEL for sale - $26,170.00 with 0 miles. 2019 Hyundai Kona SEL Luther Burnsville Hyundai is the recipient of the 2019 Dealer of the Year Award and the 2019 Customer Satisfaction Award from Dealer Rater. Thank you to our wonderful customers for this achievement. At Luther Burnsville Hyundai, we pledge to provide you the highest level of customer service! We put all our vehicles through a strict Multi-Point Inspection. Come in and ask your salesperson to show you the work order for this vehicle today!Price includes $750 Retail Bonus Cash - Exp. 04/30/2019. Description:Used 2019 Hyundai Tucson ultimate for sale - $34,595.00 with 0 miles. 2019 Hyundai Tucson ultimate Luther Burnsville Hyundai is the recipient of the 2019 Dealer of the Year Award and the 2019 Customer Satisfaction Award from Dealer Rater. Thank you to our wonderful customers for this achievement. At Luther Burnsville Hyundai, we pledge to provide you the highest level of customer service! We put all our vehicles through a strict Multi-Point Inspection. Come in and ask your salesperson to show you the work order for this vehicle today!Price includes $2,000 Retail Bonus Cash - Exp. 04/30/2019. Price includes $500 Sales Event Cash - Exp. 04/30/2019. Description:Used 2019 Hyundai Tucson Value for sale - $27,505.00 with 0 miles. 2019 Hyundai Tucson Value Luther Burnsville Hyundai is the recipient of the 2019 Dealer of the Year Award and the 2019 Customer Satisfaction Award from Dealer Rater. Thank you to our wonderful customers for this achievement. At Luther Burnsville Hyundai, we pledge to provide you the highest level of customer service! We put all our vehicles through a strict Multi-Point Inspection. Come in and ask your salesperson to show you the work order for this vehicle today!Price includes $2,000 Retail Bonus Cash - Exp. 04/30/2019. Price includes $500 Sales Event Cash - Exp. 04/30/2019. Description:Used 2016 Nissan Rogue S for sale - $19,995.00 with 60,273 miles. 2016 Nissan Rogue S St Cloud Hyundai has a wide selection of exceptional pre-owned vehicles to choose from, including this 2016 Nissan Rogue. This Nissan includes: ALMOND, LEATHER-APPOINTED SEAT TRIM [P01] SL PREMIUM PACKAGE PEARL WHITE *Note - For third party subscriptions or services, please contact the dealer for more information. * Looking for a one-owner vehicle? You've found it. AutoCheck shows this vehicle was owned by the original buyer. Treat yourself to an SUV that surrounds you with all the comfort and conveniences of a luxury sedan. Why spend more money than you have to? This Nissan Rogue will help you keep the extra money you'd normally spend on gas. Enhanced performance, a refined interior and exceptional fuel economy are just a few of the things you'll enjoy about this all-wheel drive vehicle. Added comfort with contemporary style is the leather interior to heighten the quality and craftsmanship for the Nissan Rogue This highly refined Nissan Rogue comes with exciting features you'd expect in a vehicle twice the price. This vehicle comes with a navigation system. That doesn't mean you won't get lost. But it does mean you won't stay lost. More information about the 2016 Nissan Rogue: The Nissan Rogue is a small SUV/crossover, offering a more car-like driving experience than the more hard-core Nissan Xterra. This puts the Rogue in direct competition with vehicles such as the Toyota RAV4 and the Honda CR-V, two vehicles with several generations and years of success under their belts. In order to remain competitive, Nissan has equipped the Rogue with a bevy of features and some very reasonable base prices. The Rogue starts at just over $23,000, while even the top trim model with all-wheel drive can be had for under $30,000. With available three-row seating, the Rogue is possibly one of the most versatile vehicles available at such a low price. Interesting features of this model are high-tech features, available all-wheel drive, Affordable, and optional third row seating *Taxes, title, registration, and Dealer Fee are not included. Please verify all information. We are not responsible for typographical, technical, or misprint errors. Inventory is subject to prior sale. Contact us via phone or email for more details. * While every reasonable effort is made to ensure the accuracy of this information, we are not responsible for any errors or omissions contained on these pages. Please verify any information in question with St Cloud Hyundai. Vehicle photos are representative of make, model, trim, exterior color and interior color. Additional equipment seen may vary. Click the window sticker button to see the full list of included equipment. See dealer for details. Some rebates you must qualify for. Occasionally, pricing, data errors and omissions may occur on various vehicles and offers. Upon notification, such errors and omissions will be promptly removed or fixed. Inaccurate prices and data errors and/or omissions do not constitute valid prices or retail offers. Description:Used 2008 Buick Enclave CXL for sale - $7,500.00 with 198,168 miles. 2008 Buick Enclave CXL Recent Arrival! **Wholesale4Sale** as-is cars priced cheap before they go to auction** Call for details**, ***ALL WHEEL DRIVE***, ***LUXURY PACKAGE WITH 7 PASSENGER SEATING, POWER SUNROOF/2ND ROW SKYLIGHT AND ALLOY WHEELS***, ***ENTERTAINMENT PACKAGE WITH REAR ENTERTAINMENT DVD, BOSE AUDIO AND MORE***, ***FACTORY TRAILERING PACKAGE***. The flag is up and the coffee is on at Dondelinger Auto Family! For more information please visit us at or call . Description:Used 2013 Lincoln MKZ base for sale - $14,999.00 with 61,111 miles. 2013 Lincoln MKZ base Recent Arrival! 2013 Lincoln MKZ Tuxedo Black Priced below KBB Fair Purchase Price! Odometer is 4495 miles below market average! 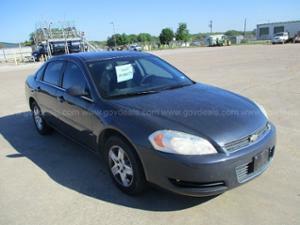 Clean Vehicle History, All Wheel Drive, Back-Up Camera, Remote Start, Leather Seats, Heated Seats. 22/31 City/Highway MPG Awards: * JD Power APEAL Study * 2013 IIHS Top Safety Pick * Ward's 10 Best Engines If you are interested in this or any of our vehicles, please contact us at one of our two locations, in Sleepy Eye 507-794-3673 or New Ulm 507-354-3673.